Originally from New Jersey, Bryan became a real estate agent in 1992. Eager to enjoy the sunny climate, he relocated to Florida with his two children, whom he enjoyed raising in this area. 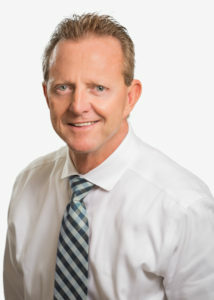 He believes SW Florida has “the best school systems and sports programs in the country.” Bryan’s extensive experience in real estate began when he was the spokesperson for an equity trust company, which involved live phone seminars helping customers with advice on investing in the real estate market. Bryan’s involvement in SW Florida extends to owning two taverns in Fort Myers and two hair salons in Cape Coral. On a lighter note, he enjoys motorcycles, boating and fitness. He frequently visits the beach with his English bulldog, Meatball. He is also the proud grandfather of two lovely boys and is expecting a granddaughter this year!